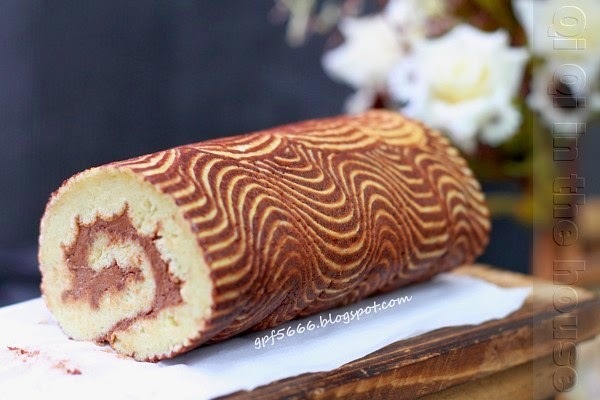 Wow, you made swiss roll too....beautiful print! 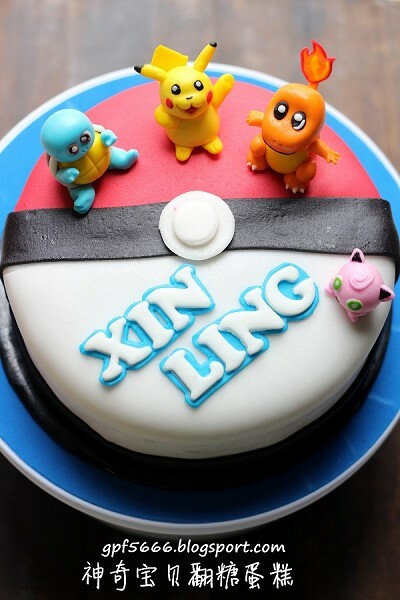 Of course, it is not hard to you to do this because you are an expertise in bakes! Must be yummylicious! 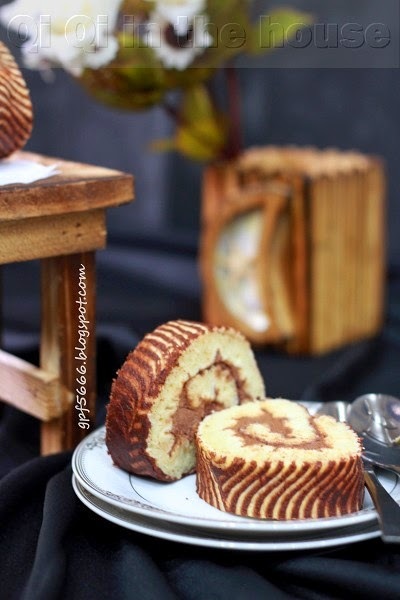 this looks so good, great for coming christmas too. 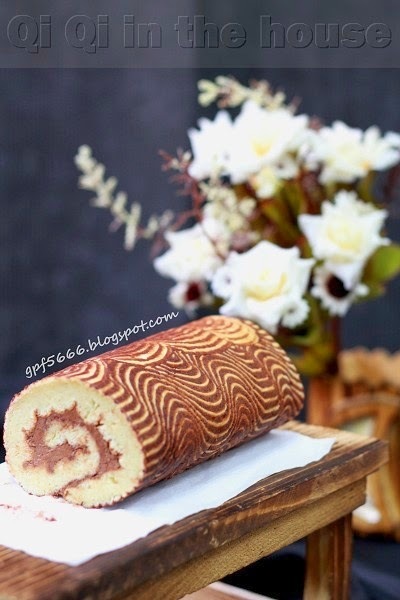 it seems like I can still get the recipe from your blog eventhough I do not have the book! Thanks for sharing!